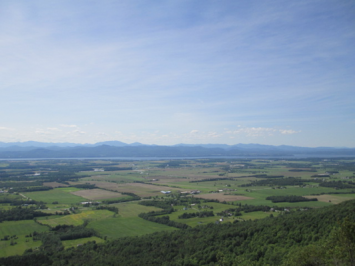 The Champlain Valley of Vermont, viewed from Snake Mountain. Photo by Joseph Witt. In his influential history of “place” in Western philosophy, Edward Casey charted shifting definitions of place and their ethical ramifications from the ancient Greeks into the modern era. He argued that Enlightenment-era and modern Western philosophy gradually eroded the richness of older concepts of place in Western societies, tending to view distinct places and ecosystems as “leveled-down monotonous space for building and other human enterprises” (Casey 1998: x). The works of Renaissance, Enlightenment, and modern philosophers such as Francis Bacon and René Descartes, among others, helped generate a common perspective of place as mute matter to be exploited with no consideration for the value and perspectives of other beings. As ecofeminist historian Carolyn Merchant has argued, such views have directly supported the continuing exploitation of nature and its inhabitants (Merchant 1983). In contrast to the modernist view of place as mere site, alternative concepts of place may acknowledge rich interactions between systems, beings, perceptions, and activities. As Casey continued, this concept of place “brings with it the very elements sheared off in the planiformity of site: identity, character, nuance, history” (Casey 1998: xiii). Following Casey’s argument, while modern global capitalist culture has tended to downplay the significance of places in favor of monolithic sites whose value is measured by economic productivity, emerging alternative views consider places as locations that come to be through the relations between their inhabitants (both human and non-human), their histories, and the flows and exchanges of interrelated systems. Interdisciplinary perspectives, acknowledging that the natural sciences, social sciences, arts, and humanities all contribute their own tools to the study, are thus required to understand the complexities of place in its fullness. The return to place has been a key concern through the development of modern environmental studies pedagogy. As the field developed in the mid-20th century, many educators and sustainability practitioners were drawn to bioregionalist philosophies emphasizing the long-term and in-depth appreciation of specific places marked by watershed or other ecosystem boundaries. As Gary Snyder wrote, “bioregional awareness teaches us in specific ways. It is not enough just to ‘love nature’ or to want to ‘be in harmony with Gaia.’ Our relation to the natural world takes place in a place, and it must be grounded in information and experience” (Snyder 1990: 42, emphasis in original). Wes Jackson, the long-serving president and co-founder of the Land Institute in Salina, Kansas, similarly argued that U.S. education must refocus its goals toward “homecoming,” or inviting students to return, work, and fully inhabit their places. In response to impending environmental crises, he wrote, “we will be required to become native to our little places if we are to become native to this place, this continent” (Jackson 1994: 2-3, emphasis in original). In many ways, the bioregionalist movement was a reaction to the “time space compression” of postmodernity, when technological innovations and global economic exchanges increasingly surpassed the ability of ecosystems to rebound from over-exploitation (Harvey 1990). Along with promoting increasing exploitation, global economic and political forces of the 20th century also sought to mask global differences and regional particularities, imposing a global consumer culture on traditional small-scale and place-based cultures around the world. By returning to deep understanding and engagement with specific places, many bioregionalist authors argued, communities could extract themselves from exploitative global economic and political systems and promote the resilience and unique vibrancy of places. But as many authors acknowledged, individuals returning to deep bioregional sensibilities in their specific places could only solve some problems. As global ecological crises such as climate change, mass extinction, and ocean acidification (among others) became more widely-understood and pressing, simply returning to place no longer seemed like a sufficient solution. Instead, more thinkers emphasized appreciating the interconnections of specific places within global systems and networks. For example, former president of Unity College Mitchell Thomashow wrote in his work, Bringing the Biosphere Home, “the more closely you look at any ecological or political controversy, no matter how tightly it seems to be bounded, the more you realize the extent to which the issue is informed and influenced by global patterns and processes. There is no such thing as a local environmental problem” (2002: 7). Developing a “place-based perceptual ecology,” he continued, was the first step toward appreciating “the relationships between places” and the broader global dynamics that continue to reshape them (2002: 5). The primary objective for the “Understanding Place” course at the 2015 Middlebury School of the Environment was to take on the challenge of Plumwood’s “critical bioregionalism” and engage both students and faculty in an intensive, collaborative program to develop place-based approaches that also acknowledged global dynamics, mobility, and associated issues of justice. This objective was framed by the school’s 2015 theme of agriculture. 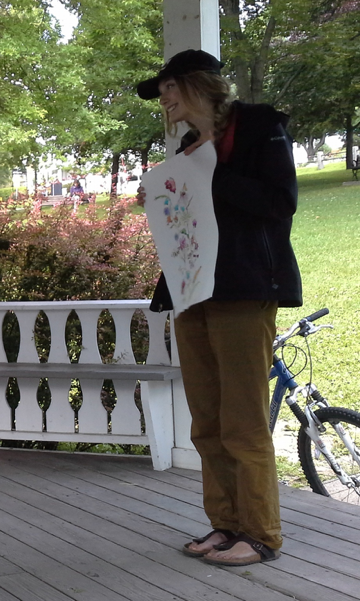 Students were asked to explore various perspectives on place while engaging with places and communities in and around Middlebury, Vermont. Based in their own life experiences and collaborative efforts at Middlebury, they were then asked to develop tools and techniques for understanding place that could be translatable to others in different areas. Combining various academic perspectives with insights gained from community service and work in the area, students developed a collaborative “toolbox” of multidisciplinary perspectives on place and agriculture that could be applied to understand the local and global dynamics of any specific area (Weston 2013). This toolbox was then shared with other members of the School of the Environment community. Tied to the theme of agricultural systems, the course toolbox took the form of a recipe book with each recipe created by a small group of students and covering one of the core theories or experiences from the course. The following case study outlines the development and progress of this course, focusing on the specific lessons learned regarding course structure and materials, learning goals, and tools for evaluation while developing the understanding place toolbox. While the Middlebury School of the Environment provided a unique context for the development of this course, some of the lessons learned and outcomes from this experience may be of use to other place-based educators focused on promoting community resilience. “Understanding Place” was first developed in 2014 by Stephen C. Trombulak, Director of the Middlebury School of the Environment, and Gregory Rosenthal, then at SUNY Stony Brook, as a core course in the School of the Environment for students with some previous academic experience in environmental studies. The Middlebury School of the Environment was designed as an intensive, interdisciplinary summer program for undergraduates focused on environmental studies, modelled after Middlebury College’s popular summer language schools and highlighting Middlebury’s contributions to the development of environmental studies curricula. At the Middlebury School of the Environment students took three courses over an intensive six-week period, each involving a core theoretical approach to environmental studies, a practicum designed to apply theories to a concrete project, and an elective chosen from a variety of options across the natural sciences, social sciences, arts, and humanities. Along with these courses, students also participated in regular co-curricular activities and workshops guided by environmental professionals and leaders in various fields. The mission of the program was to tie environmental studies education to leadership, communication, and professional development, providing students from around the country with a unique experience on the Middlebury campus that emphasized both traditional knowledge building along with skills to do something transformative with that knowledge. In 2014, the course emphasized the year’s school theme of water, focusing specifically on the human and environmental history of Lake Champlain. In 2015, however, a new set of faculty covered the course, bringing their own expertise and experiences to it. The 2015 course was co-taught by Joseph Witt, Assistant Professor of Religion at Mississippi State University, and Holly Peterson, Assistant Professor of Geology and Co-Chair of the Environmental Studies Program at Guilford College in Greensboro, North Carolina. Although Trombulak had lived and taught in Vermont for several decades, publishing on the environmental history of the region (Klyza and Trombulak 1999), both Witt and Peterson shared less individual experience with the Champlain Valley watershed. Peterson had lived in Southern Vermont intermittently during her life, but Witt had only briefly visited the state years before. Thus, teaching the significance of place in the Champlain Valley from a deeply grounded perspective would be impossible. Peterson and Witt decided to approach the course by acknowledging mobility, openly addressing “outsider” perspectives on place, and emphasizing the theme of coming to know new places. This situation may be typical of many U.S. residents who remain highly mobile throughout their lives, moving frequently for education, work, and other reasons. Indeed, of the 12 students in the course in 2015, only 2 were lifelong residents of Vermont. This reality influenced the decision to orient the course around a “toolbox” made up of a multiplicity of perspectives and experiences that could be carried along with people as they moved. Acknowledging the mobility of many people in the 21st century United States, the course sought to develop effective tools for understanding any place, for coming to know and value that place, and ultimately inspiring work to protect it. Peterson and Witt established a set of core readings and designed a series of educational experiences over the six-week course, each covering a different tool or perspective related to understanding place. A combination of reading, writing, discussion, and experiential learning was employed for each theme, and student assignments included regular written reflections as well as other creative projects. These reflections and projects were evaluated according to accurate use and engagement with the material. The teachers also examined how students were able to draw connections between the various readings and experiences, working through them to arrive at new conclusions about the meaning and significance of place. Because teachers and students met frequently and worked closely together, there were also many opportunities for one-on-one feedback between them and more informal discussions of ideas. This provided a second means of informally evaluating the progress of students through the course while also providing frequent feedback on the development of long-term projects. Understanding the key issues, perspectives, and arguments in readings provided only the first step toward the course objective, however, so students were also assigned a final collaborative and comprehensive project to complete the course. The form of this final project was left open-ended to allow students space to develop something that best reflected their own interests and experiences. However, students were given the stipulations that this final project should (1) come together collaboratively through the six-week period, drawing comprehensively upon the various perspectives and experiences encountered through the course as well as the interests and expertise of each student, and (2) succinctly share these perspectives with others to help them appreciate the value of understanding places to promote efforts toward care for the environment and social justice. Students were evaluated in the end by the quality of their individual and group contributions to the final project as well as through self-assessed measures. Students were introduced weekly to several broad perspectives on place through short readings focused on themes of bioregionalism and local systems; “critical bioregionalism,” including perspectives on social and environmental justice; and globalization and mobility. These broad themes were also tied to specific examples from agricultural systems (connecting the course to the broader school theme and emphasizing how agriculture may be a primary hub where multiple human and non-human systems meet and interact). Weekly readings were also paired with service work, creative projects, and other educational experiences in and around the Middlebury community. The theme of bioregionalism and local systems was explored through many physical encounters with places tied to food systems in northern Vermont. This included a day of work at the Middlebury Organic Farm where students helped prepare beds for planting, installed a drip irrigation system, and learned about local food production from the farm manager. Along with service at the Middlebury farm, students engaged in place over time through an exercise designed to help them understand temporal changes in a landscape. In one of the first classes, students read selections from David Abram’s book Becoming Animal (2011) in which the author described contemplative and sensual approaches to understanding place. For this assignment students were asked to find any conveniently-located and comfortable place. They were asked to return to that place at least five times over a two-week period, each time silently observing the place while attending fully to their senses–sight, smell, touch, taste, and sound. After observing the place for at least a few minutes they were then asked to briefly journal about their observations. Finally, after performing this contemplative exercise at least five different times, students were asked to reflect on the full set of experiences and produce some creative means of expressing them to the rest of the class. As a result, students wrote poems and songs and produced visual representations of their experiences (Photo 1). This project helped students understand the importance of fully engaging in understanding place with their senses, observing changes in place over time, and creatively expressing these observations to others. Each of these elements factored significantly into the final project. Photo 1: A student shares her artistic rendering of her temporal place assignment. Photo by Holly Peterson. The second theme of Plumwood’s “critical bioregionalism” was also explored through a collection of readings and exercises, primarily emphasizing social and environmental justice. The course designers decided that a core element of place-based study should entail opening space for marginalized and oppressed voices in those places. As Val Plumwood noted, overemphasizing an immediate sense of locality can at times mask the unjust and unethical practices and systems that shape local places. Through this theme, students in “Understanding Place” were asked to illuminate the “shadow places” (Plumwood 2008) in their own lives and acknowledge the people who likewise suffer from unjust systems. This theme was first addressed through readings from bell hooks’ work Belonging: A Culture of Place (2008). This work examined how race, class, and gender identities impact visions of and behaviors toward places, as well as how these identities are masked and silenced by modern economic and political systems. The link between social justice and agriculture was highlighted by a visit from Migrant Justice, an organization working toward fair living and working conditions for migrant workers in Vermont’s dairy industry (Photo 2). The visitors told stories of their lives and work on farms in Vermont, describing a broad range of conditions and treatment from fair, safe, and respectful to dangerous and oppressive. They also described the Migrant Justice activism process, prior successes, and future goals. Their visit was a powerful experience for students, many of whom had not previously been exposed to workers’ rights issues and who appreciated the first-hand stories and candid discussion. A second activity that was also extremely powerful was the viewing of director Scott Hamilton Kennedy’s The Garden, a film that documents the political, economic, and ideological fight for community garden space in Los Angeles (Kennedy 2009). The film led to deep discussions on the complex system that so often results in defeat of marginalized communities, and specifically in this case, the loss of their community space and food source. A few students in the course came from urban environments and later discussed how the visit from Migrant Justice and viewing The Garden spoke more directly to their life experiences of place, rather than the rural visions of place frequently encountered in Middlebury. This started a discussion that lasted through the remainder of the course regarding the different methods for understanding place in urban as opposed to rural environments. 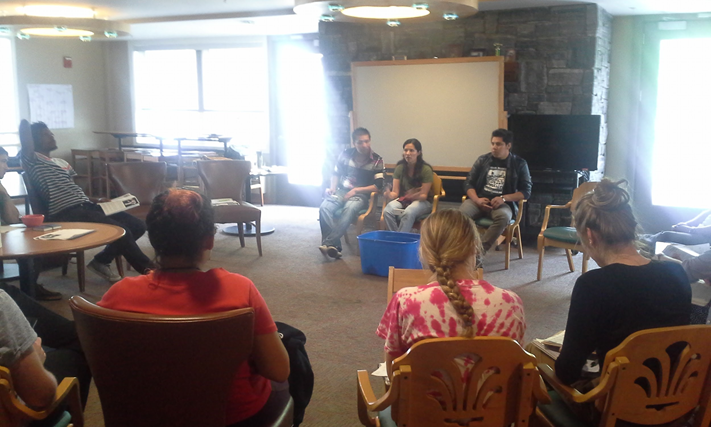 Photo 2: Presenters from Migrant Justice discuss working conditions of farm laborers in Vermont. See more at www.migrantjustice.net. Photo by Holly Peterson. The urban setting and urban agriculture theme of The Garden was a segue to the final theme of globalization and mobility. Students used online Geographic Information Systems (GIS) resources to explore land use, observing how their chosen place changes over space and time. They studied the environmental effects of industrial agriculture on ecosystems, including reduction in biodiversity and soil loss (Matson et al. 1997) and conducted water quality testing on Lake Champlain to better understand freshwater eutrophication on a regional scale (Photo 3). Readings from Isabelle Anguelovski’s Neighborhood as Refuge (2014) explored concepts of place in urban environments, specifically marginalized and low-income regions of Boston, Havannah, and Barcelona. In discussions of Anguelovski’s work, students explored how place-based knowledge might be transmittable to urban environments (environments in which the majority of the earth’s human population now lives). Paired with The Garden documentary, students considered how small-scale urban agriculture could contribute to place remaking and food sovereignty in underserved urban areas. Finally, students engaged in ardent debates surrounding globalization and mobility. Given that many individuals in the United States will move at least a few times in their lives, how can an understanding of place be developed that recognizes that mobility? Must highly mobile people inevitably have weaker sense of place? A key to this question was found in theologian Whitney Bauman’s work Religion and Ecology: Developing a Planetary Ethic (2014). There, Bauman called for a “nomadic polyamory of place” that “calls for love of many places as part of a larger, planetary community” (2014: 127-128). For Bauman, such a perspective recognizes mobility and emphasizes valuing multiple places over time, rather than lifelong monogamous connections to a singular, idealized place (as proposed by some early bioregionalists). Home, according to Bauman, can be made and remade in many contexts, and such a perspective is needed to understand and address many multifaceted global problems faced by various communities today. Rather than romantically idealizing one place (as Plumwood warned against), Bauman’s perspective acknowledged movement, change, and variability. The readings and experiences of this section of the course deeply challenged many of the perspectives encountered earlier. Students and faculty wrestled with these tensions in developing their toolbox for understanding place; and these challenges were reflected in the final toolbox project. 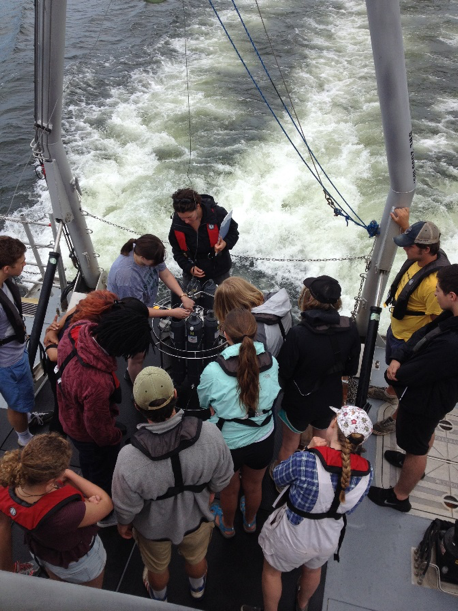 Photo 3: Students learn how to prepare instruments to test water quality on Lake Champlain. Photo by Joseph Witt. As mentioned above, along with engaging in specific themes through readings and experiences, students were also expected to pull these themes together in an “Understanding Place” toolbox project to be shared with others. Tied to the School of the Environment’s 2015 theme of agriculture and food systems, students decided to produce an “understanding place recipe book” as the final project. And along with the physical recipe book itself, students and faculty prepared a multi-course “Understanding Place” meal to guide others through their educational project. For the final project, small groups each created a recipe that delved into one of the themes of the class, each reflecting the tools needed to understand any place. Each group then made the food or drink from their recipe and served the dishes as an end-of-term social gathering for everyone associated with the School of the Environment. As each dish was served the student chefs described its significance to understanding place. One group highlighted “shadow places” through a recipe for chocolate cupcakes with coffee frosting. Both chocolate and coffee are high-profit agricultural products often marked by exploitation of producers. In the recipe, the students described how global markets obscure the exploitation and suffering of workers and ecosystems and how attending more closely to the sources of food can help fight against these exploitative systems. Another group reflected the temporal class exercise through “phenomenological tea.” This section included several recipes for flavored teas. Along with ingredients for the teas, the recipe asked readers to engage sensually with the tea’s temperature, taste, smell, all while attending to the physical changes in the body while drinking. In their discussion, the students described how being present to one’s senses in a place can provide a deeper sense of connection and understanding. A third group wrote a recipe for bioregional crostini’s made with local bread, goat cheese, and honey. The authors referred to concept of terroir to relate the local flavor of goat’s milk and honey in their recipe. While a person in any region might be able to use local ingredients for this recipe, each result would inevitably be unique due to the ecological characteristics of the place and food system. Yet another group represented nomadic polyamory of place by making a variety of “nomadic pizzas.” Both of the students in this group produced a pizza with ingredients that reflected their own life histories in place. One student produced a pizza that mixed southern barbecue (reflecting her home region) with Mediterranean elements such as feta cheese (reflecting her Greek family culture). The other student produced a pizza with multiple ingredients characteristic of his central New York home. By looking at the ingredients and culture that shape individual recipes, students learned that food can be a key to examining local, national, and international ecological systems and systems of trades, and that it can uncover “shadowed” people in the production system, including those who produce the food and those who have unequal access to it. As such, the cookbook and meal was a key exercise in reaching the course objectives, as it required students to work collaboratively to express the tools needed to understand individual places while acknowledging global dynamics and associated issues of justice. Finally, the cookbook and meal were successful in that they allowed students to show their personal connection to place through food; to express individual identity and culture; and as the polyamory pizza showed, to develop an open-ended approach that reflects their experiences and may be carried with them to any place. With its specific location at Middlebury College and intensive framework, the structure of “Understanding Place” at the 2015 Middlebury School of the Environment cannot be exactly transferred to other locations. However, insights gained from the experience of teaching this course may help others develop related educational opportunities at their own locations. The experience of 2015 “Understanding Place” also raised several important pedagogical questions that others may hope to resolve. Several constructive lessons emerged from the experience of developing and teaching this course. First, students reflected that they appreciated that the course was not just about understanding agricultural systems in and around Middlebury, but about learning tools for better appreciating any place, and thus hopefully gaining more interest in working to preserve it. In an age characterized by mobility and global exchanges of information and resources, developing an approach to place that can also travel seems like a useful endeavor. This is a project that will only be enriched by other courses in other locations developing parallel tools for an understanding place toolbox. Students commented that they felt it was a unique approach to a familiar topic and highly relevant to their own experiences, since most were not residents of Vermont. Second, team-teaching between humanities and science professors was successful both in that it required students to constantly challenge the concepts at hand from a broad perspective. The course structure did not compartmentalize time between the sciences and humanities, but integrated multiple approaches and perspectives into an ongoing narrative of place. This kept discussion vibrant and helped keep the goal of multi-disciplinarity at the fore of each class meeting. The collaborative work among the students was also a very positive experience, not only requiring students to work across disciplines but also fostering group creativity, collective decision making, and a feeling of partnership between teachers and students. Activities that engaged with the community, for example the visit from Migrant Justice and discussions with local farmers, were particularly engaging and meaningful for students, as were variable class settings (e.g., using outdoor classroom space) for discussions on the readings. Finally, leaving the final project open-ended gave the students ownership of their education and allowed them to not merely reflect the perspectives of others but also raise their own voices and teach from their own experiences and expertise. Because the stated requirement for the final project was that it be used to communicate the perspectives necessary to understand place to others, students could have chosen to approach it through any medium including writing, art, or theater. Their decision to create a cookbook and to prepare a meal for their professors and peers resulted in a polished and informative final product as well as an enjoyable and relaxing time for all at the end of an intense summer semester. One future change in the course structure could be to focus on physically based concepts at the local scale at the beginning of the course–perhaps, for example, taking a watershed tour during the first week of class as an introduction to some specific, physical environmental issues. This would be a good opportunity to assess students’ prior knowledge of environmental issues in that place and in their places and would lay a solid foundation for deeper social and philosophical discussions throughout the course. Deciding how to layer different perspectives can greatly impact their pedagogical impact, helping students draw connections and note differences between them. A second change could be to assign several short natural science, social science, and humanities readings regarding each topic simultaneously rather than one or two longer pieces from select disciplines. The revised method may help students more fully engage in specific topics from multiple perspectives. Future development of this or similar courses might also want to ask what other perspectives could be included in an understanding place toolbox, what other creative ways could students share this toolbox with others, and what other concrete ways could students involved in the course engage in community service and works towards local resilience? In conclusion, place is an extremely complex subject, and a deeper understanding of place is gained when it is examined through multi-disciplinary perspectives. Engaging with diverse, sometimes contrary perspectives on place provided students with multiple specific tools for understanding place. While students generally preferred some approaches over others, they were nonetheless able to see the value in each of the different perspectives. Combining these specific tools into a broader toolbox allowed students to reflect on a more holistic vision of place, including its complexities. By examining “place” as a general concept, as well, students developed tools that will hopefully help them continue to explore the global influences that go to shape multiple distinct places, inspiring in them motivation to fight against the structures and systems that promote over-exploitation and injustice, and working to promote the resilience of places in light of pressing ecological and social concerns.